Appeal to Muslims all over the world! Imam Mahdi is in the secular world! As-Salām Aleykum, dear Muslims of the entire world! Let me share truly joyful and momentous news with you. The event long-expected by all faithful believers across the world has already occurred. The long-awaited advent of Imam Mahdi has taken place. He is on the earth for a certain while already, furthermore He has done an unprecedentedly TREMENDOUS job on renewal of the Genuine Teaching! Due to this most significant event of our times, I would like to congratulate you all sincerely! His arrival is really the main and most important condition for beginning of the world transformation. This is a SIGNAL for everyone who faithfully believes in Single God, for people all over the world to unite, regardless of the skin colour and place of residence! His mundane name is IGOR MIKHAYLOVICH DANILOV. 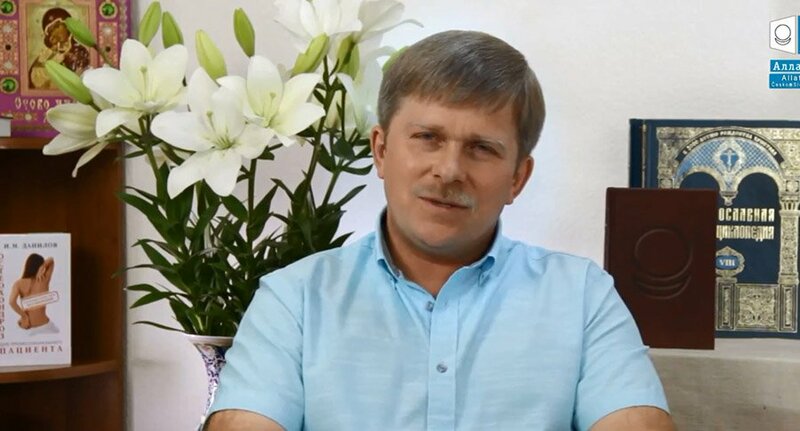 The basis of evidence collected by the team of independent analysts indicates that Igor Mikhaylovich is indeed Imam Mahdi. Sceptics and people of little faith, take some time, sort it out, compare facts, and you will get convinced of the accomplished fact yourselves. In advance, I would like to respond to possible arguments that Imam Zaman must be the Prophet’s offspring, belong to the Prophet’s family, etc. Responding to this, I shall permit myself to quote Bulgakov. In The Master and Margarita novel he expressed the following idea very skilfully and in a masterly fashion: “…issues of blood relationships are the most complicated issues in the world! I would not be mistaken if I compare them with a pack of cards fancily shuffled. There are things for which class barriers or even country borders are totally invalid…” For myself I would also add a phrase from the Bible: “T he Lord works in mysterious ways”. Decide for yourselves whether you should believe the news or not, but I am doing what each of you would do if you found out about Mahdi’s arrival so reliably. I am sure it’s the duty of every person obedient to the Almighty to share Good and distribute the Truth, while the most important Truth today is that Imam Mahdi is already on the earth. And the news itself makes any discord or disputes absolutely inadmissible, for Allah, the Most Merciful and Gracious, welcomes Friendship and Love between all people, and therefore Imam Mahdi has come with Allah’s permission to give the Knowledge to the mankind in its primordial purity! Hence, I shall repeat that Sawab is more than enough for me to share this good news with brothers Muslims, and so I won’t accept any gratitude from you whatsoever! All of us are parts of the Single Whole! And only Allah, the One is above us! And only to Him we should all be grateful for his latest Mercy! As Imam Al-Shafi'i said: “One who requires knowledge with no proof is like one who gathers firewood at night and carries firewood along with a viper that bites him!.” There is only one genuine way to verify whether this is true or not: watch the programmes where you can feel His presence! For any sensible person with a strong iman in his heart, the news of Mahdi’s arrival must be more important than the most joyful fete, because finally there comes a time when outrages on the earth will come to an end. Everything will surely depend on the people’s choice, while Imam only gives the Primordial Knowledge as a torch illuminating the path in the darkness, but whether we will use this opportunity depends entirely on us. The time has come when, filled with the courage of true Muslims, warriors of Allah, all of us are obliged to rush fighting against the darkness of godlessness and unbelief, and prove our sincere Devotion and Love to God, the Almighty. Desperate times call for desperate measures! Generosity will be considered weakness, and injustice will be glorified. Princes will be debauched, and ministers will be oppressors; intellectuals will be traitors, and readers of the Koran will be vicious and evil. False evidences will be brought openly, and immorality will be proclaimed in loud voices. Sacred books will be incomprehensible, mosques will be disguised and minarets will be extended.” (Here are only some points of what Al Mu'mani wrote about the end of times, op. cit., pages 333–59, “The Qa’im (Mahdi”). Mahdi (“the One Who Follows the Right Path”, “the Guiding One”, “the One Who Knows”) will bring a new Order, a new Book, a new Legislation, and a new Tradition. Other religions, also abandoned and distorted, will be equally re-established in their original Truth and Purity by Mahdi.” (Ibn of Babin, 129, 1/161; Ibn-AyashMugtad-ab). He will extract the Torah and other Divine Books from caverns and will judge amongst the faithful of the Torah according to the Torah, amongst the faithful of the Gospel according to the Gospel, and amongst the faithful of the Koran according to the Koran. It’s a universal initiation by the Imam of all people into the secrets of emergence and existence of their religions, and this knowledge is without doubt most perfectly described by the term “Mahdi” (“the guiding one”) as He is named, because He is the one to guide us to the Truth.” (Al–Nu’mani, op. cit., page 342, “The Qa’im (Mahdi). So, brothers and sisters, He has come, and the IMPORTANT thing is what He has brought and given to the mankind! Let’s embrace and use this Last Mercy of Allah, and let’s unite Inshallah around Mahdi, because this is our very last Chance! I am absolutely sure that for every true believer who knows the Koran and knows Allah in his heart, after he reads the books, there will be no doubts as to the aforesaid. And I am happy in advance for all such people, since the entire further way of the Truth dissemination and declaration among the mankind will become clearly visible to them. May the Grace of Allah, the Almighty Lord of the worlds, be with all of us!